View and apply tags created from the Git command line in your repository in GitHub. At the top of the Releases page, click Tags. 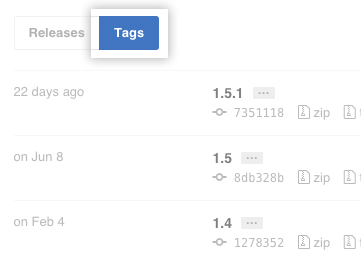 Tip: Releases are also lightweight Git tags, with some extra awesome features to help you release software. For more information, see "About releases."